Just last week we got home from a wonderful five week road trip through the Southern US with the kids. 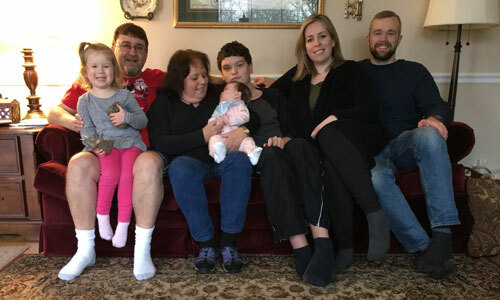 We had the time off and it was a great chance to visit our family and friends down south – and avoid as much of the tail end of winter as possible, ha! 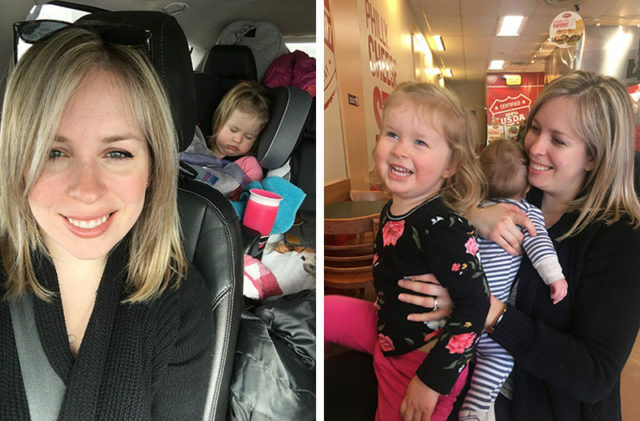 At first I was nervous to be travelling with two little kids for such a long trip, but thankfully we hit our stride pretty early on and they were both great in the car. Lucy was old enough (2 3/4 years old) to be able to explain to her what we were doing and Rosie was young enough (4 months old) to sleep through most of it. I’ll be sharing a post soon on what we did that worked, and what didn’t. 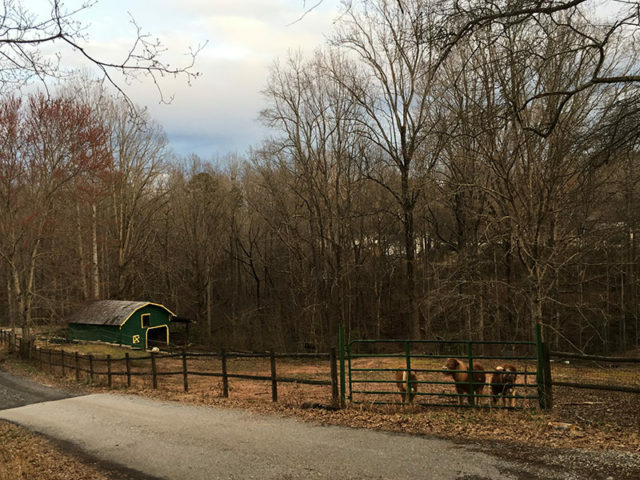 Our first stop was to the countryside near the beautiful city of Greenville, South Carolina to visit Garrett’s uncle, aunt and their family. We see them every year that they come up to Canada, but it had been almost five years since we stopped in to visit them on our Honeymoon Road Trip. 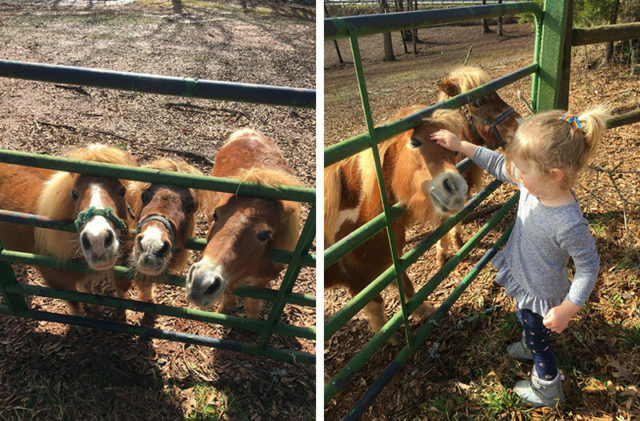 Lucy was so excited to see their neighbour’s miniature horses, which we’d been telling her about. We spent a few days there, enjoying their company, eating delicious homemade Southern food (Garrett’s aunt is a wonderful cook – we ate very well! ), and visiting some of the great sights in the area. 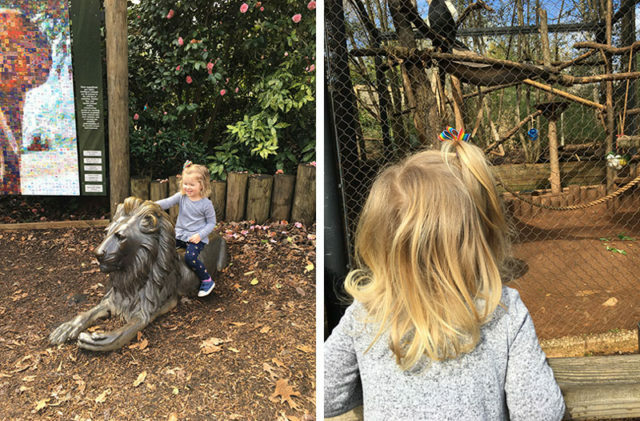 Right in the city of Greenville is a beautiful 14 acre zoo in Cleveland Park. They have lions, giraffes, primates and lots of reptiles. It was the perfect way to stretch our legs after two long days of driving and to let Lucy run around. They even had two kid friendly play areas and a goat petting zoo. 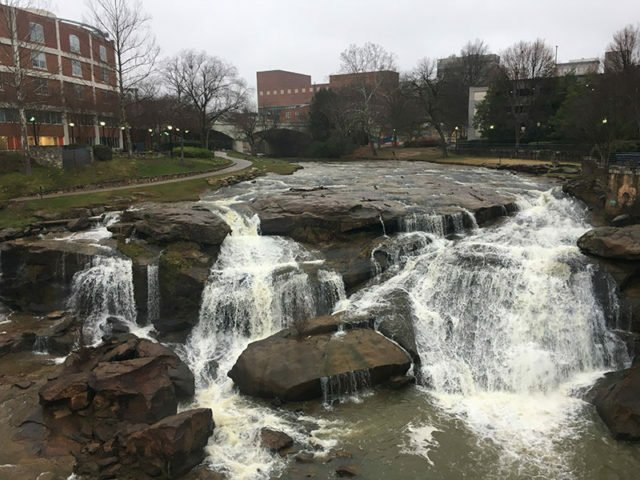 The jewel of downtown Greenville has to be The Falls on Reedy Park. This huge waterfall and beautiful park are right beside all the shops and restaurants. The spring flowers were just started to pop up and we walked around a bit after dinner to look at the blooms. It was raining and the kids were both tired, but I would have loved to pop into a few shops – next time! 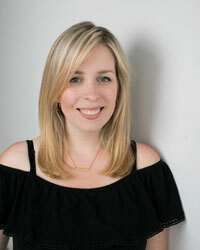 One of my favourite artists, Emily Jeffords (I have a painting by her in our dining room) has a studio there too. 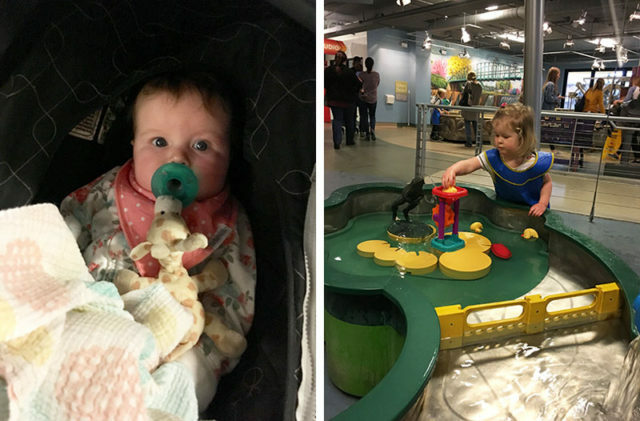 We only had one rainy day when we were visiting, so it was the perfect opportunity to head over to The Children’s Museum of the Upstate in downtown Greenville. We had so much fun and it is definitely a must see if you’re in the area with kids. I’m sure we’ll be back there again on another visit. Rosie slept through most of it but I can just picture her following along behind Lucy before we know it. 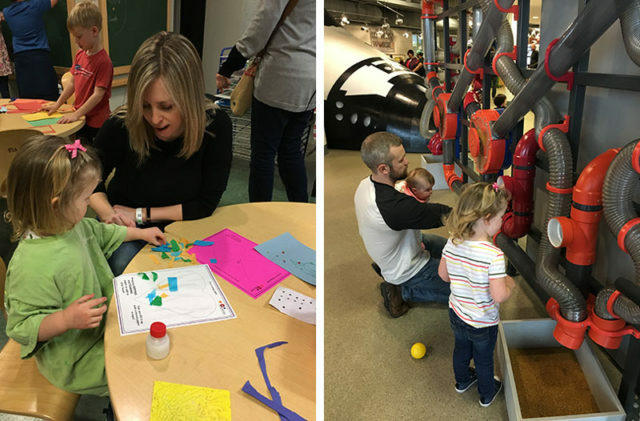 With over 18,000 sq ft of exhibits designed for kids of all ages, there was more than enough to keep our toddler busy for the whole day. 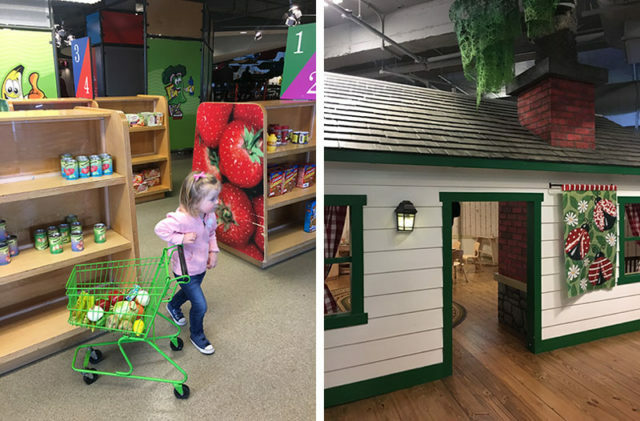 From a kid sized grocery store and farmhouse to a massive water table and art area – it was a real blast. There were plenty of science based exhibits too and different interactive displays for various age groups. 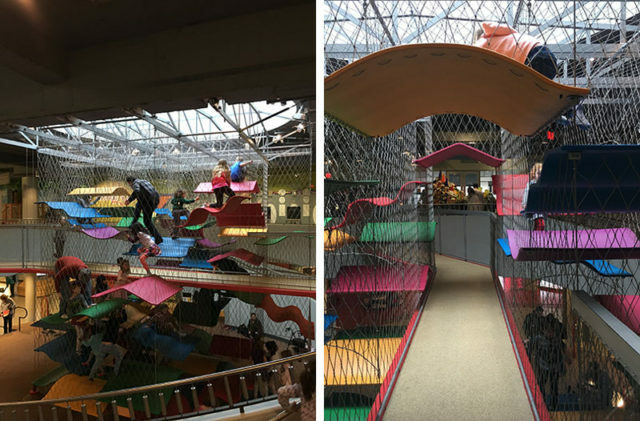 In the centre of the museum they also have a two-storey climbing structure with a walkway on the second storey for children on wheelchairs to participate too. 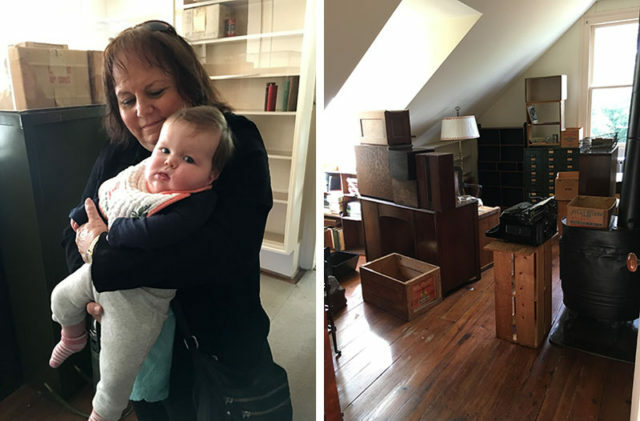 A short drive into North Carolina took us to the Carl Sandburg Home National Historic Site. 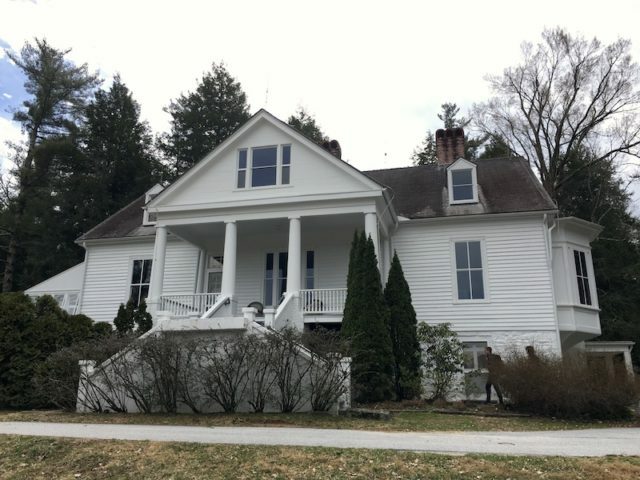 I’ll admit I’d never heard of Carl Sandburg before, but when we started to walk around the house it was fascinating to learn more about his work and his family, as well as the history of the house. 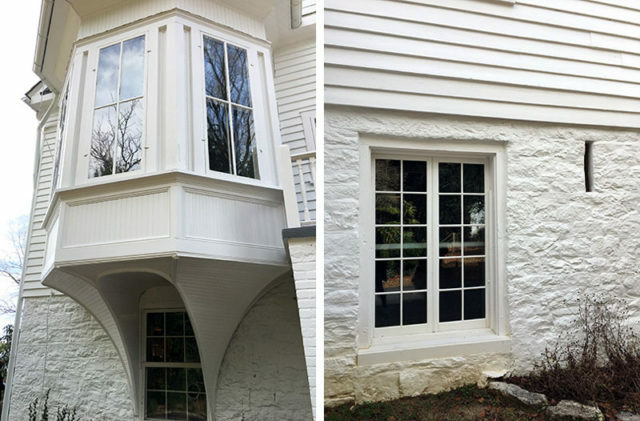 It was built in the 1830s as a summer home and was even used as a shelter during the American Civil War. The narrow slit in the foundation on the right of the picture up above was actually added for guns as a lookout. 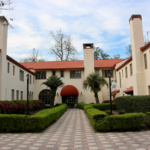 Sandburg and his family moved there in 1945 from the Midwest and stayed there until 1969. 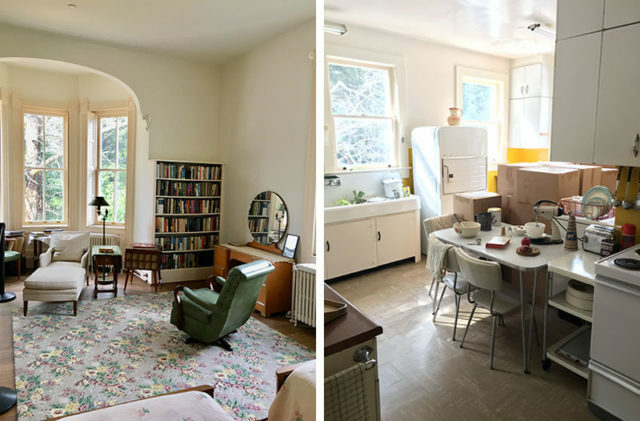 His wife sold the house and farm to the National Parks Service when Sandburg passed away in 1967 and donated all the contents. They’ve tried to keep everything how it would have been when the family lived there, giving a real snapshot into their lives. Rosie spent some quality time with her great aunt while I walked around snapping photos. 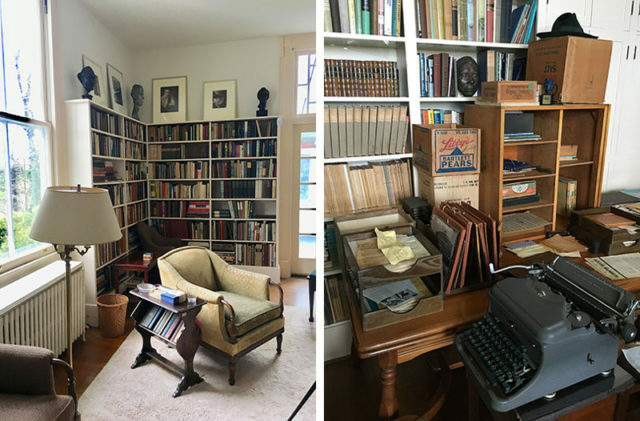 On the right is his office – he used a wooden crate as a desk because it was easier to sit around his typewriter. Farther down the hill is the original barn, as well as some descendants of his wife’s prize winning goats. 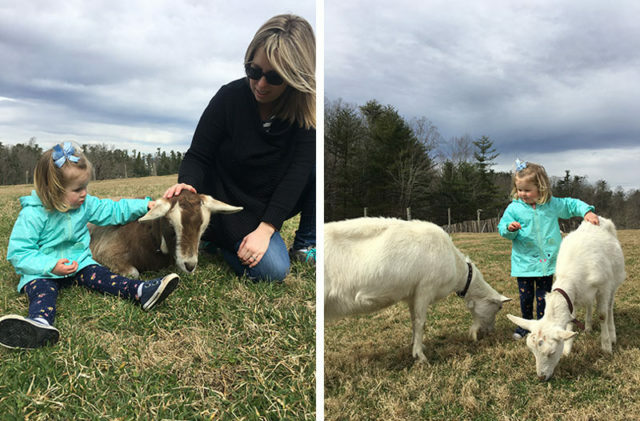 Our animal loving gal was in heaven as these extremely friendly goats frolicked around her. There are also chickens, pathways and various walking trails in the area as well. Aside from the $3 fee to tour the house, the rest of the park is all free to visit. 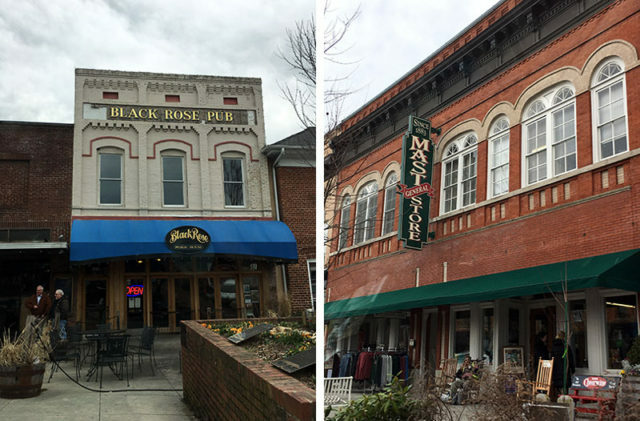 Afterward we drove into nearby Hendersonville for a drive down their beautifully maintained main street. 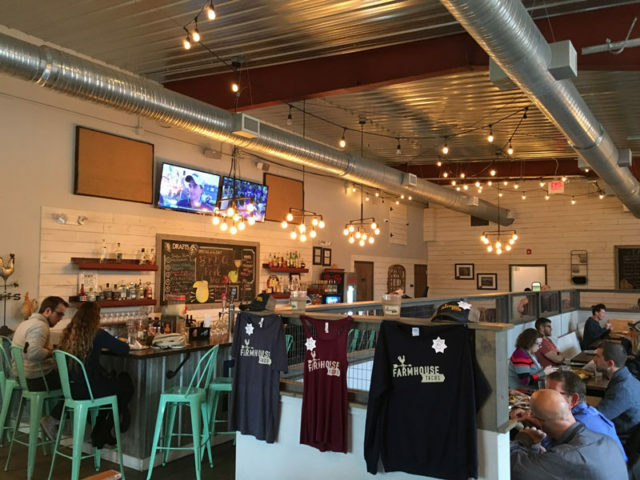 We popped in to a few shops when we drove through here on our way to Biltmore Estate on our last trip, but this time we came to have a lovely lunch at Haus Heidelberg, an authentic German restaurant hidden away in North Carolina. On our last day, we drove into the cute town of Travelers Rest, which is well known in the cycling world due to the great trails in the area. 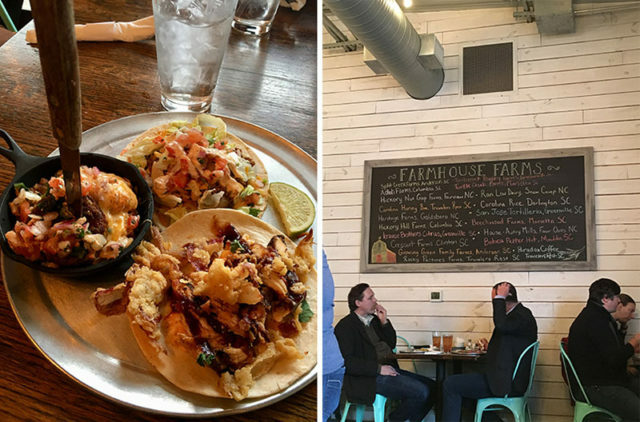 We had a farewell lunch at Farmhouse Tacos, where almost everything is sourced from local farms. 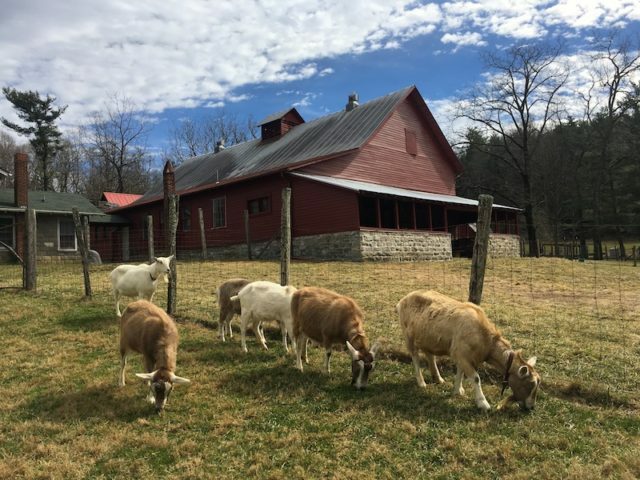 I loved seeing where everything came from and knowing we were supporting local agriculture. It was exciting to try a Southern classic that I’d never tried before – Fried Green Tomatoes with pimento cheese! They were kind of crunchy and so delicious. I’ll have to try and replicate it this summer with our own tomatoes. 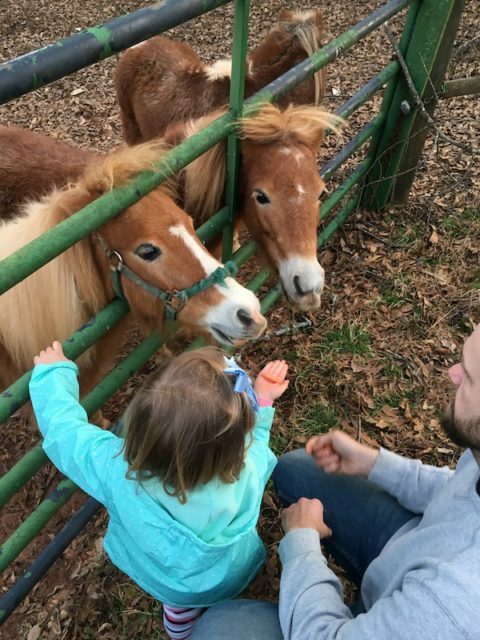 Before we left, there was one more visit down to the miniature horses. I was trying to convince Garrett we need a little barn like that at our place, ha! I’d be happy to have a couple of these blonde cuties in our backyard – although they’d probably eat the flowers! Before we knew it, it was time for big hugs goodbye and we were back on the road, ready for our next adventure. Florida, here we come! I’ll be sharing more about our travels in several blog posts over the coming weeks. You can also see videos from our trip on the Highlights of my Instagram page. 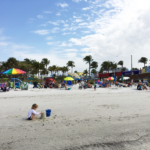 You can see more posts on our 2019 road trip below and check out the Travel page for more of our adventures.